This is a paper mache project that we have done with the 6th grade classes. To make this santa you’ll need a plastic bottle that has shoulders on it (Dawn bottles used to be like this, but now we just look for bottles with “shoulders.” Also needed are newspaper strips, pipe cleaners and paper mache paste (recipe included.) Find the complete pictured tutorial for this “Old World Santa,” in the Christmas Projects Gallery, in the sidebar. 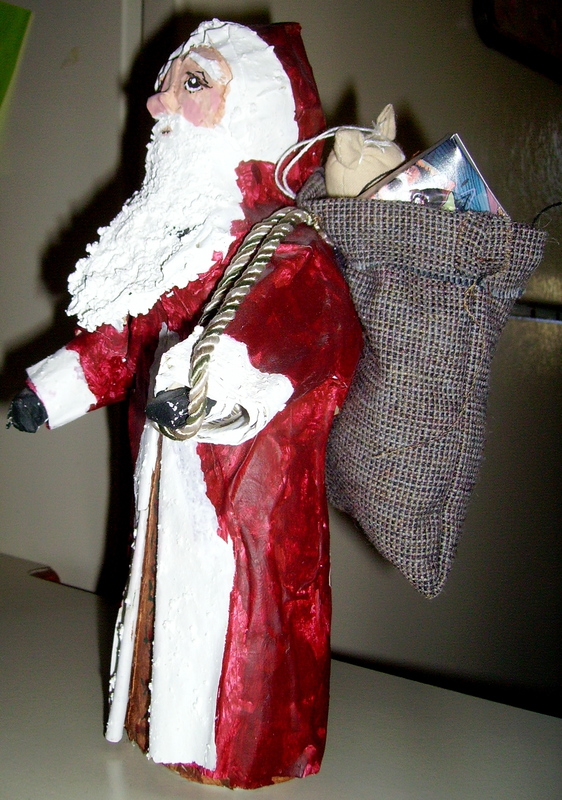 This entry was posted in Christmas Projects and tagged art, Christmas, christmas projects, crafts, for kids, how to make a santa, old world santa, paper mache, paper mache old world santa, paper mache project, paper mache santa, santa claus. Bookmark the permalink.